M P Jain Tubing Solutions is a specialised manufacturer of high quality ASME/ANSI/DIN standard threaded flanges or screwed flanges in India. We offer immediate delivery programs for standard size of carbon steel threaded flanges and stainless steel threaded flanges. 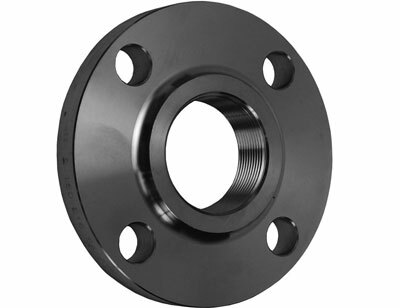 Threaded flanges are widely used in low pressure piping systems, as no welding is involved while connecting the flanges to pipes or other equipment. However, the flange may be welded around the joint after assembly, but it is not considered a satisfactory method of increasing its applications. Threaded flanges are also known as screwed flanges and are similar to slip-on flanges, but the bore is threaded to enable assembling without welding. 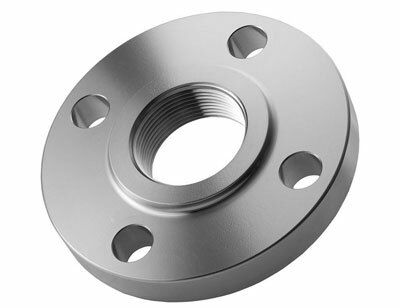 Threaded pipe flanges are usually used with pipes that have external threads. We offer threaded pipe flanges manufactured at our facility to companies in various industries including shipbuilding, power generation, petrochemical plants, oil refineries, waste water treatment plants, paper mills, pharmaceutical plants and turnkey projects among others. 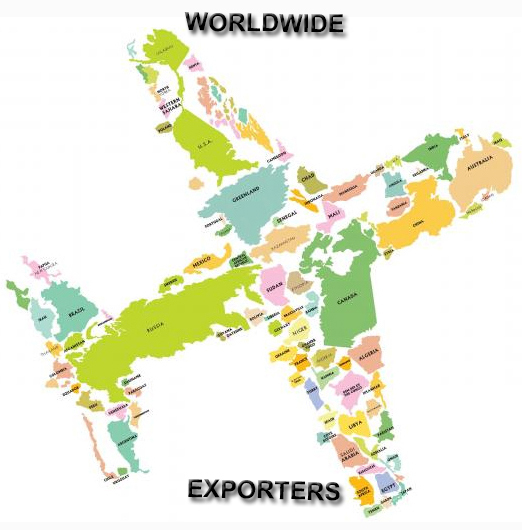 Our products are widely exported to countries and regions such as the United States, Europe, Russia, Turkey, Malaysia, the UAE, Saudi Arabia, Iran, Brazil, Chile, Mexico, South Africa, Jordan, Tunisia, Vietnam, Indonesia, Thailand, Singapore, Colombia, and Sri Lanka. Pressure Ratings Class 150, Class 300, Class 400, Class 600, Class 900, Class1500, Class 2500 | PN6, PN10, PN16, PN25, PN40, PN64 etc.